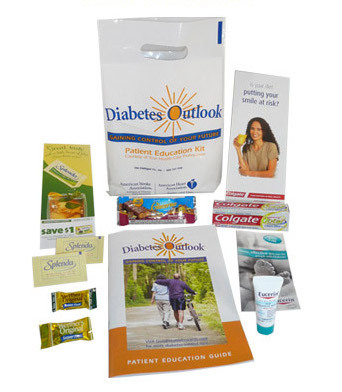 PRINT: Specs for Diabetes Outlook® Education Guide digest size annual publication. Note: Ads that contain bleeds must be sized according to the bleed spec. Creative that is supplied as non-bleed will appear with a white border around the perimeter of the ad. Trim lines should be noted on ad page. Required Materials: Ads are to be supplied via email, sent to: ads@adialogue.com. All original artwork files (e.g., graphics, scans, etc.) and fonts must be included. Alternatively ads may be supplied on a CD in Macintosh format, using standard graphics software (e.g., Quark, In-Design, PDF, Illustrator, TIFF-IT/PI, PhotoShop, Postscript). Please label the type of software used and the version on the outside of the disk, and include a hardcopy printout of the files contained on the disk. No trapping. Minimum 300 D.P.I. A full-size color proof is also recommended if precise color matching is important. This proof should ideally be submitted on a gloss substrate. If your files do not print properly for you, it's very likely that they will not output for us either. Materials are to be sent to the address shown below, and should be clearly marked.